Along comes Mr. Shark, silent as can be. And CHOMP! Then there were four. 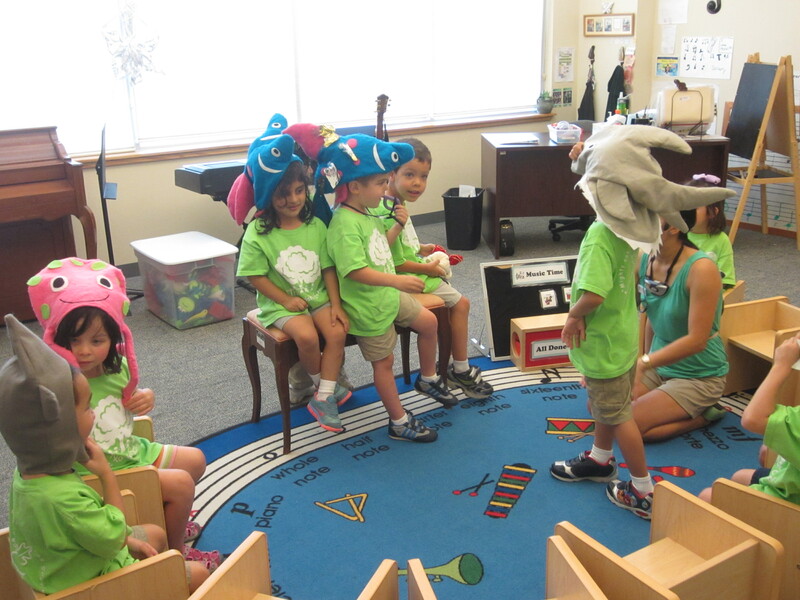 Then the Dinosaurs got to choose a fish hat or shark hat to act out the song. I did not have enough hats, so I used an octopus for a shark and a whale for a fish. 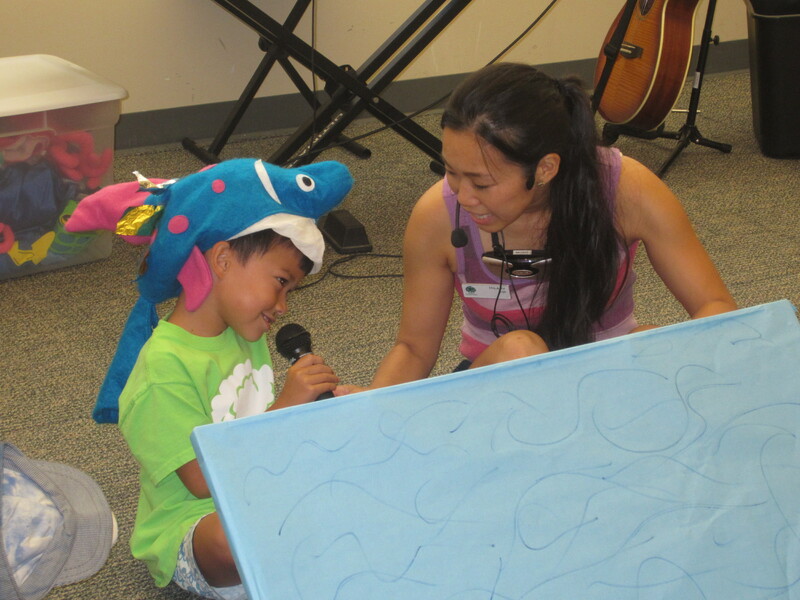 Each time we did the song, I had one student lead on the microphone. Many of them enjoyed using the microphone and hearing their own voices. The shark took turns chomping a fish and most of them were just as excited to count the remaining fish. At the end, all the sharks rubbed their bellies full of fish! 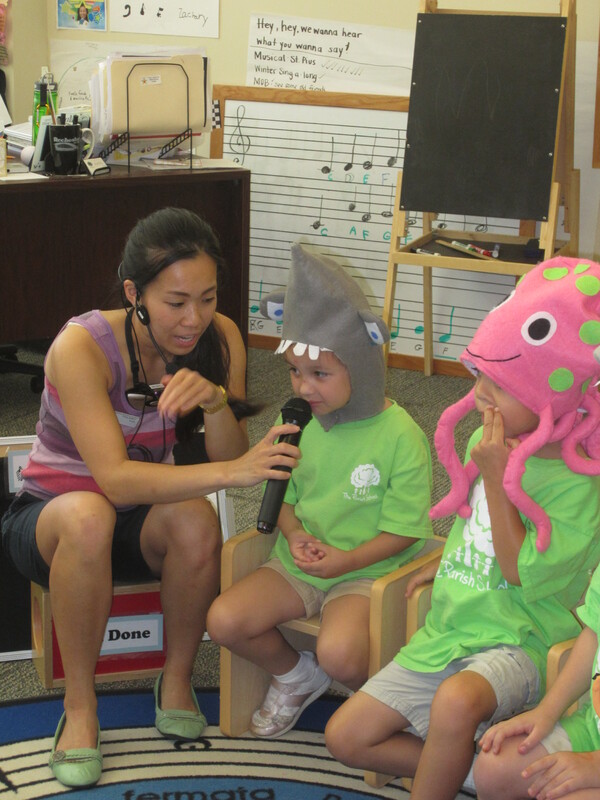 The Dinosaurs did a great job at taking turns using the microphone, being the shark to eat a fish, and being an eaten fish. 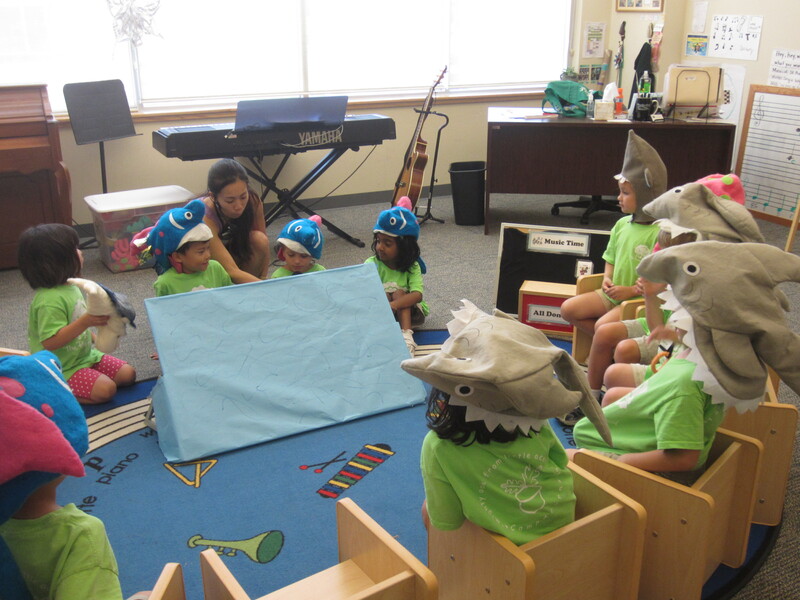 This activity facilitated social interactions between the students and it was precious to see how well they all played together; they were motivated to interact as to play their part as a shark or fish. Great direction followers, the Dinosaurs followed the sequence of events to the count down number of fishes. They were attentive singing sharks and fish! 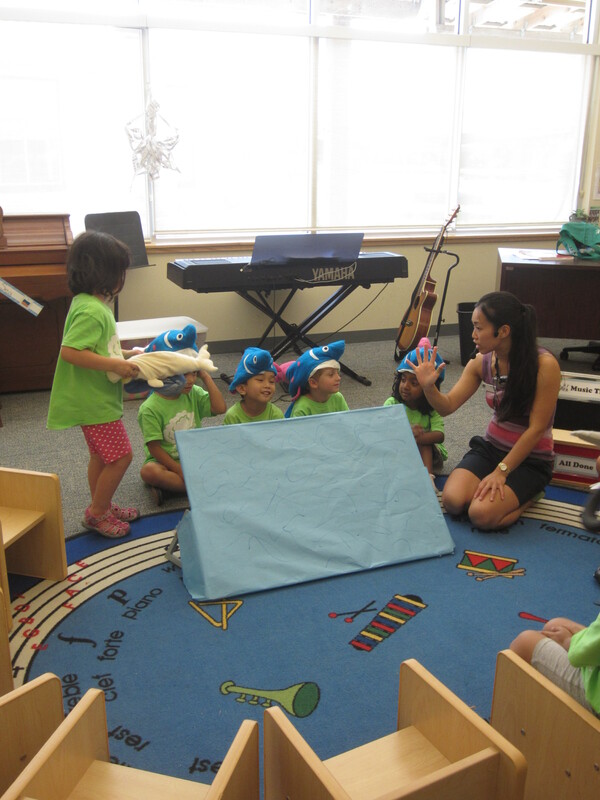 This entry was posted in Camp Acorn 2013, Dinosaurs 2013, Singing and tagged five little fishes, kids' music, social interactions. Bookmark the permalink.